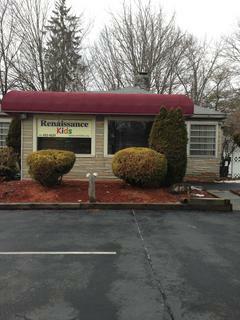 Renaissance Kids is a creative learning center located at 1343 Route 44, Pleasant Valley, NY. Here students develop skills that enrich their lives. We strive to accomodate and nurture each child's learning while providing flexibility to families. Our programs run all year long, and new students are welcome to join us anytime (please call ahead). Our commitment to treat each child as an individual while teaching valuable skills sets us apart. We provide instruction in both fine arts, writing, and performing arts, offering small class sizes and caring, talented teachers. Our goal is also to provide, through each child's creative experience, valuable learning enrichment skills that enhance and ease their learning of reading, math, writing, and study skills. We accept students in our music program as young as age three. . . and we also have adults and senior citizens that come to us for private music lessons! Currently celebrating our fourteenth year, we offer parents and students innovative programs in fine arts, music, movie-making, singing, piano, guitar, drums, violin, writing, and performing arts. We also offer private music lessons in violin, drums, guitar, piano, and singing. Beginning in September, we will also be providing daytime music and art instruction to homeschooled children. Our students also benefit from a variety of performance and art exhibition opportunities, and a positive learning environment that is lots of fun! Special workshops are also available for birthday parties and groups. Workshops can be tailored to meet the needs of your troop of Girl Scouts, Boy Scouts, homeschool group, etc. We also provide after-school and in school programs at your facility, and have worked with several public and private schools in the area. Please call for details about our after-school and in-school programs. (845) 452-4225.